The Blue Bengal Athletic Association presented a $75,000 check to JSU’s Department of Athletics to benefit 18 various sports programs offered by the HBCU. The donation is part of the nonprofit organization’s annual giving. Willie Owens has been vice president of the Blue Bengals for three years and a member of the association for nearly 25 years. 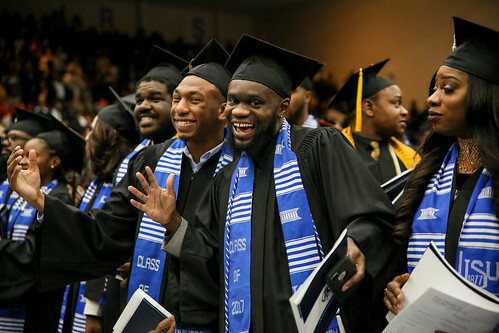 He said anyone who received an education from JSU should be willing to contribute, and he challenges alumni to assist the Blue Bengals in their mission. “If you got a degree from here you should be able to give back,” he says.